– cut into three small pieces (with the skin still on) and boil for 20 minutes. – allow to simmer for an additional 5-10 minutes. This entry was posted in Eat In, Healthy Eating, Plantain, Recipes on May 14, 2011 by Adura Odesanya. 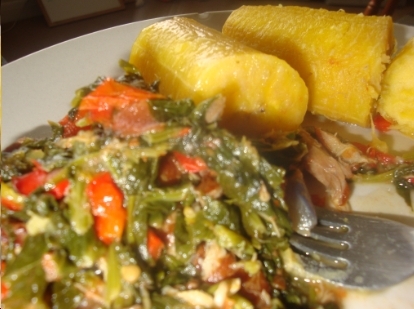 I love roast plantain but I was so hungry and that would have taken ages to cook.